I feared the heat of summer so much that I tore a Michael Leunig cartoon from the newspaper, expressing my dread with a prayer for "no mental cruelty". Well that cartoon has been flapping away on our fridge for two-and-a-half months and it has been the most pleasant summer I can remember. We've had "nights of soft rain", "days of sweet sunshine and weather perfect for lolling about", "Ideal days for harvest, for swimming, walking, snoozing, reading" and "conversing over lovely meals" just as the prayer requested. 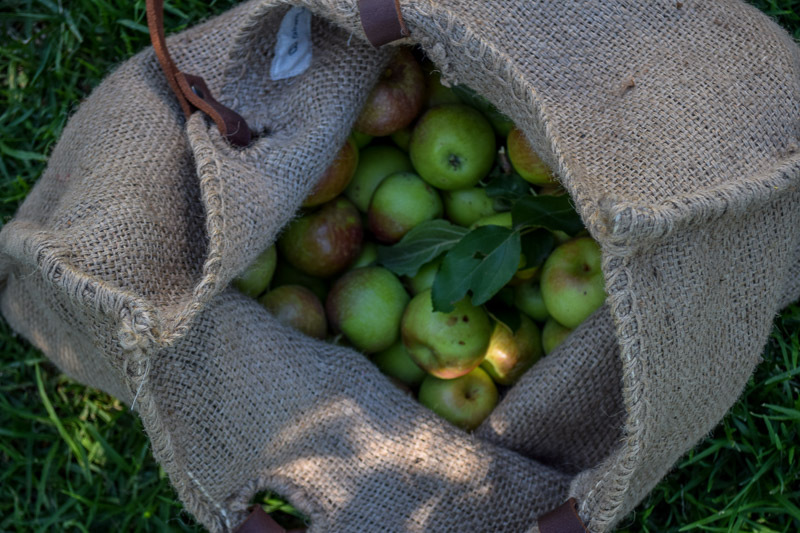 The unexpected rainfall and gentle heat nurtured an abundance of apples; wild apples along the roadside near our front gate and non-varietal apples growing beside our garage on a wild tree that Duncan transplanted more than ten years ago. After my walk I'd pick a roadside apple and test its flavour. 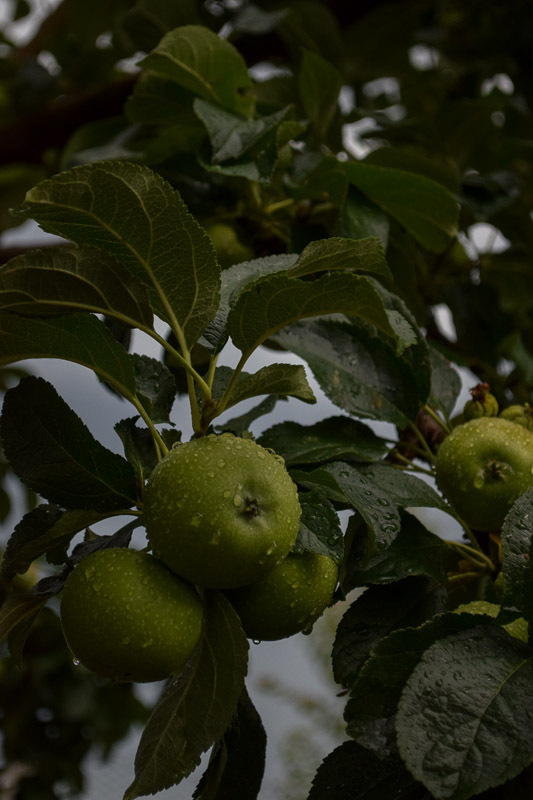 Every day as I stepped out of my car I'd check the size and colour of the apples, watching them blush from the sun and drip dry after a shower as the summer progressed. Eventually after so much waiting it was time to pick. 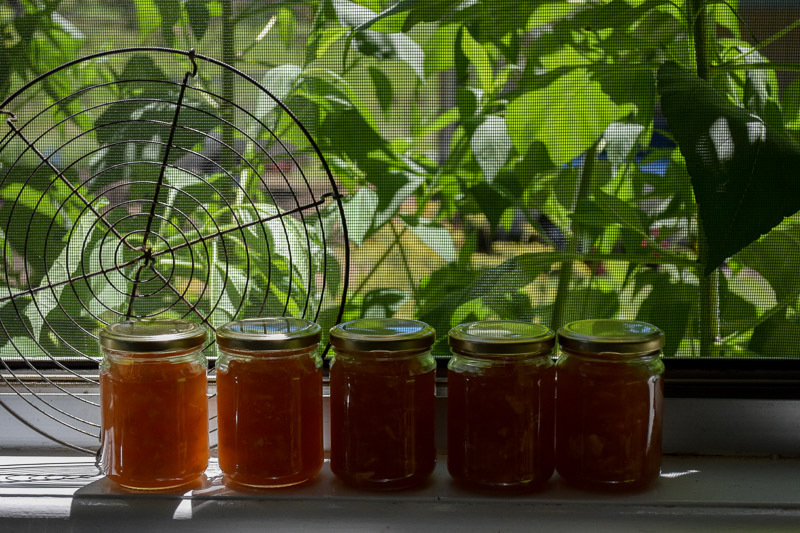 I took the boys to see the school holiday movie Paddington and our youngest was very keen on marmalade, so the first pick was destined for apple marmalade, a recipe found in Choice's Food Preserving at Home by John Gross. I've never heard of apple marmalade, but it is a delightful flavour. The tang of the citrus adds a delicious high note to the mellowness of the apple. Mind you, our boy prefers the conventional marmalade and is working his way through our winter batch. (The foliage outside the kitchen window is Jerusalem artichoke, planted as shade in the absence of a verandah. It is now almost higher than the house). I enjoyed hitting our collection of recipe books hunting out apple recipes. 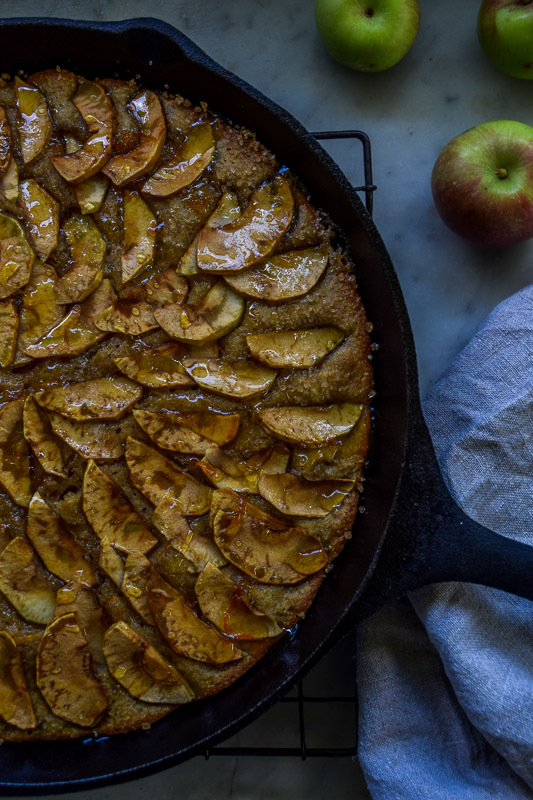 Sophie Hansen's Local is Lovely didn't let me down with a wonderful apple slice that I cooked in a cast iron pan in the oven, rather than a conventional slice tray. We had house full of children while the apple slice was cooking and the aroma was such that they couldn't wait for it to come out of the oven and cool enough to eat. They all gave it the thumbs up. Serendipitously the next evening I had the pleasant surprise of unexpected guests, Annabelle Hickson of The Dailys blog, who I met at a Local is Lovely photography workshop, and her three children en route to Sydney. As we ate the slice Annabelle asked her six-year-old daughter about her favourite part of the day and she said "Right now". I'd seen different versions of unstructured summer fruit tarts on social media and I wanted to try an old favourite, tarte Tatin, this recipe (below) from The Silver Spoon. I cannot remember the last time I made this lovely rustic tart, but it is probably a good ten years...before the boys were born. 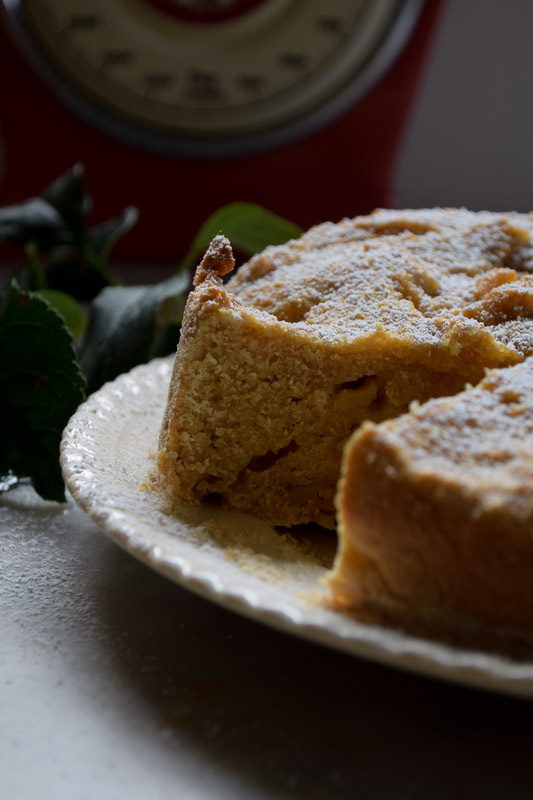 It was unnerving layering the apples and caster sugar and finishing with the layer of pastry, tucking the sides into the cake tin. 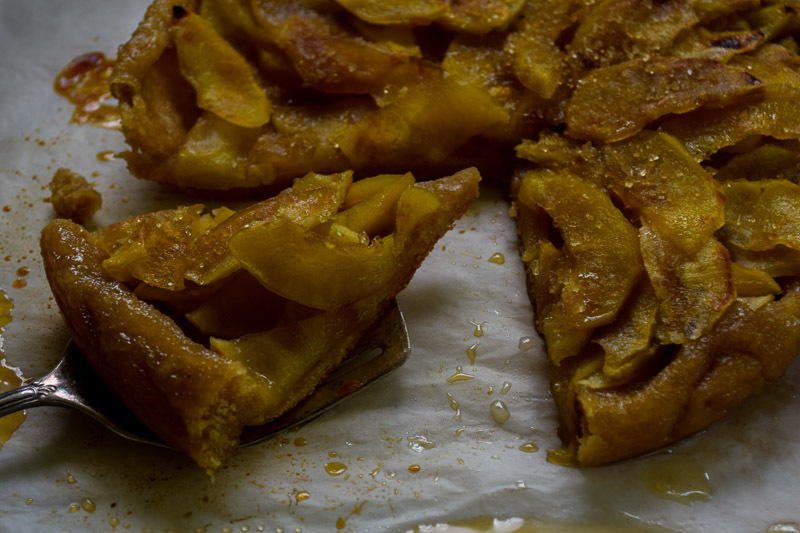 It seems impossible that the tarte Tatin will work out, let alone look attractive, but ta-da, let it cool slightly, then turn it out on a plate and serve the slices with a dollop of ice cream. "Best thing you've ever made," our eldest boy tells me. The next apple exploration, an apple cake, also out of The Silver Spoon, was a little disappointingly dry. Next time I'd like to add some almond meal to moisten it and cinnamon for added flavour. Then it may have the comforting homely flavours I love. While I was making all these delicious goodies, several Nundle friends encouraged me to join a six-week exercise boot camp three times a week, so I was loathe to tuck in too much for fear of undoing all the good work. I thought my running days were over, but apparently not. We collect the children from school and they play while we run, box, plank and crunch on the oval, instructed by Callum, our personal trainer. "Is it Mum training today?" our youngest asks. Yes it is, so for now please pass me an apple and I'll slice some on my homegrown mixed lettuce, cucumber and tomato salad, dressed with basil, parsley and coriander, soft boiled egg, nuts and apple cider vinegar. 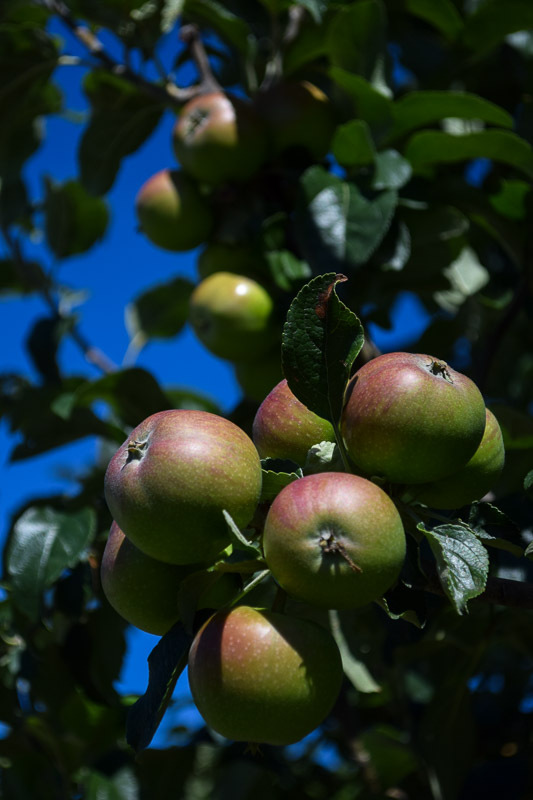 Listen to an ABC New England North West Food Journeys conversation about cooking with apples here. My girlfriend Maria asked me to share the recipe for tarte Tatin so here it is, from The Silver Spoon (Phaidon). Ingredients: Pastry - 150g plain flour (I used spelt), 65g unsalted butter, cut into pieces and extra for greasing, five tablespoons of chilled water, 65g caster sugar, ice cream or single cream to serve. Filling - 5-6 apples cored, quartered and thinly sliced (I placed them in a bath of water and lemon juice to minimise browning), 120g caster sugar. Method: Sift the flour into a mound (I love making pastry on an old marble topped kitchen table I've had for 20 years, even though it is broken in three places), make a well in the centre and add the butter and five tablespoons of chilled water. Knead into a smooth dough and leave to rest, wrapped in plastic film, for one hour. Preheat the oven to 240 degrees Celcius. Generously grease a round ovenproof dish (I used a round cake tin with a removable base) with butter and sprinkle with 65g caster sugar. For the filling, peel, core, quarter and thinly slice apples. Place half the apple slices in the prepared dish and sprinkle with half the 120g caster sugar. Arrange another layer of apple slices on top and sprinkle with remaining sugar. Roll out the pastry into a round several centimetres wider on each side than the prepared dish. Place it over the apples to cover them completely and gently tuck the pastry overhang into the side of the dish. Bake for 30 minutes, watching that it doesn't burn because it is a hot oven. Ten minutes before the tart is cooked, preheat the grill. Turn out the tart onto an ovenproof tray and place under the grill for 10 minutes until the sugar caramelises, again watching that it doesn't burn. Serve the tart warm with ice cream or single cream (or in boys' lunch boxes for afternoon tea as I did).